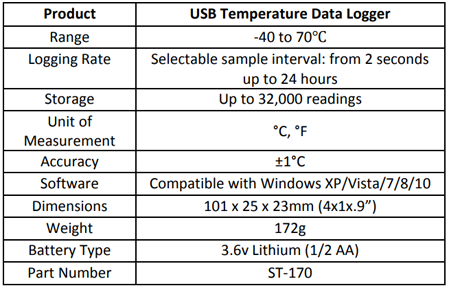 A temperature data logger with USB interface designed for measuring ambient temperatures from -40 to 70°C. 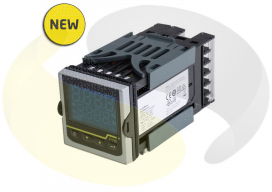 The ST-170 is capable of storing up to 32,000 readings with logging intervals from 2 seconds up to every 24 hours, configurable by the windows 10 compatible software. 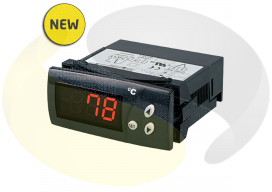 It also features LED lights & alarm to indicate if the unit is recording or if it reaches a temperature limit configurable by the user. 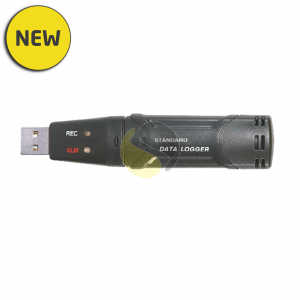 The device has a long life battery (Up to 1 year) and a protective cover to protect the USB interface when in use. 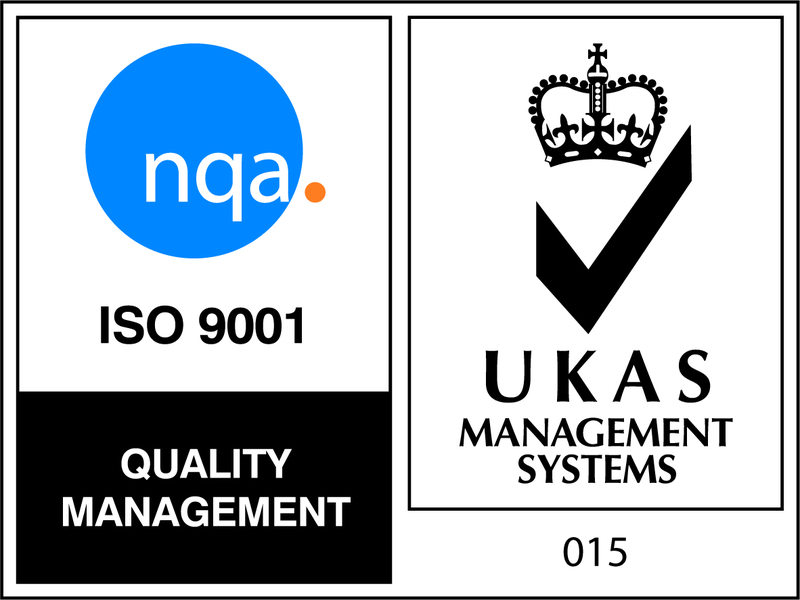 Data that has been logged can be downloaded via the software included and exported for use in other applications, such as excel. 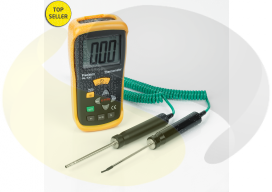 We also offer a Type K Thermocouple data logger for higher temperature applications.